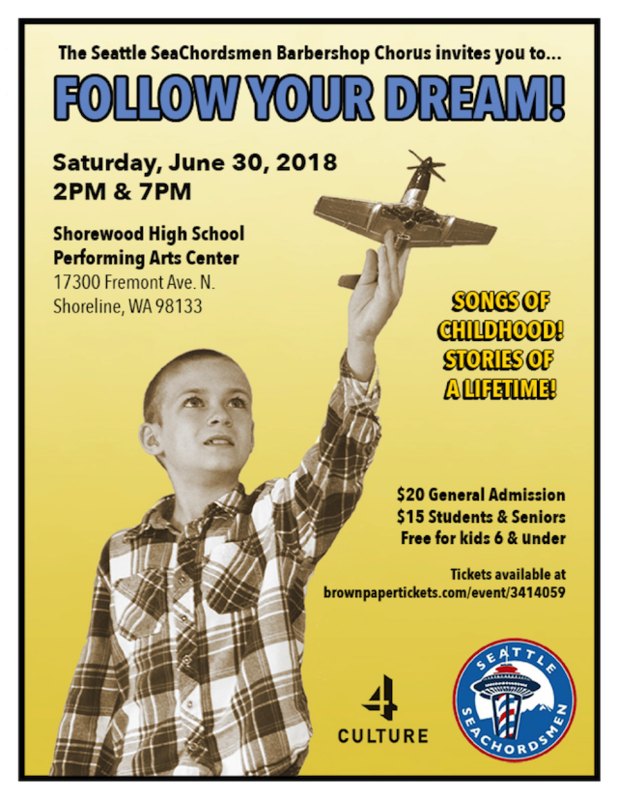 The SeaChordsmen Chorus presents "Follow Your Dream". A musical play built around the dreams of a young boy. We'll follow him as he moves through his life, imagining and experiencing the joys and trials of life --- a light-hearted, whimsical journey. Many of the songs you'll likely recognize as they are from many of Disney's and other's movies: Second Star to the Right, Candyman, You Can Fly, Cheer up Charlie, Toyland, Wizard of Oz, When you Wish Upon a Star, and more.